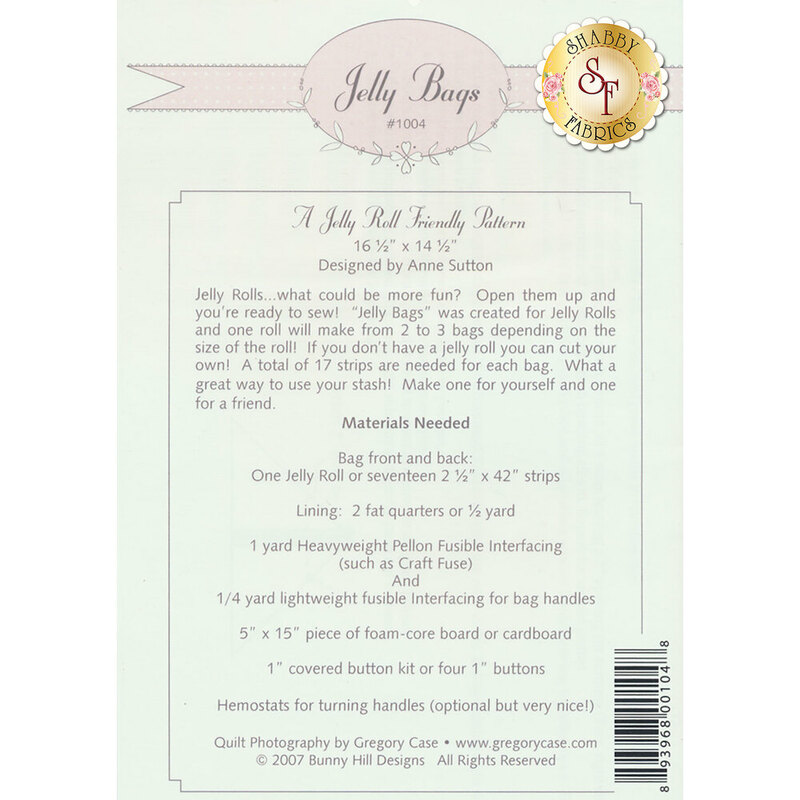 The Jelly Bags pattern by Bunny Hill Designs uses 17 strips from a jelly roll to make a bag that finishes at 16 1/2" x 14 1/2". 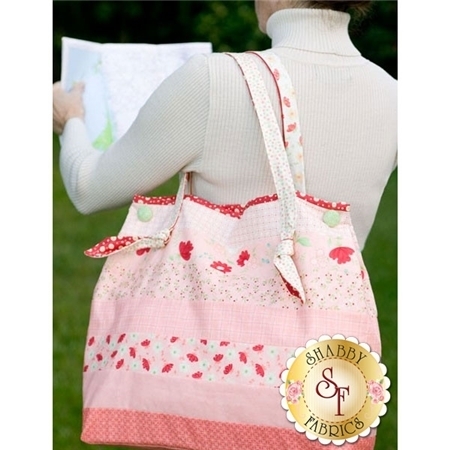 This bag is a great way to use your jelly roll stash! Make one for yourself and one for a friend!